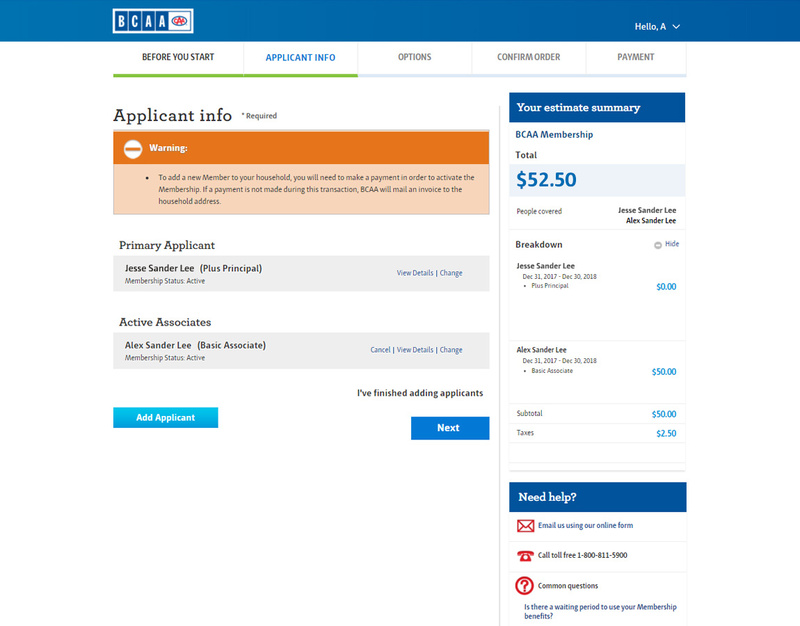 With a few simple steps you can share BCAA Membership coverage and savings with your whole family. 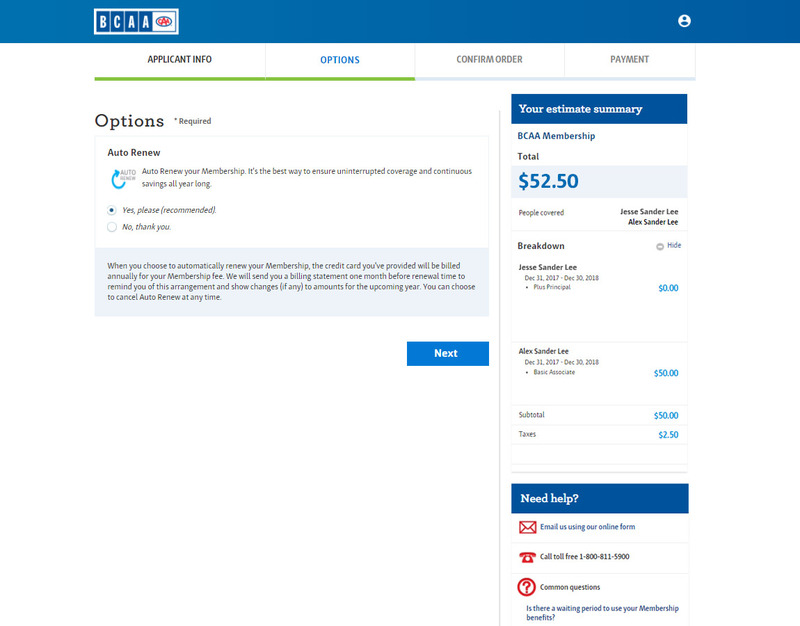 Login to access your account. 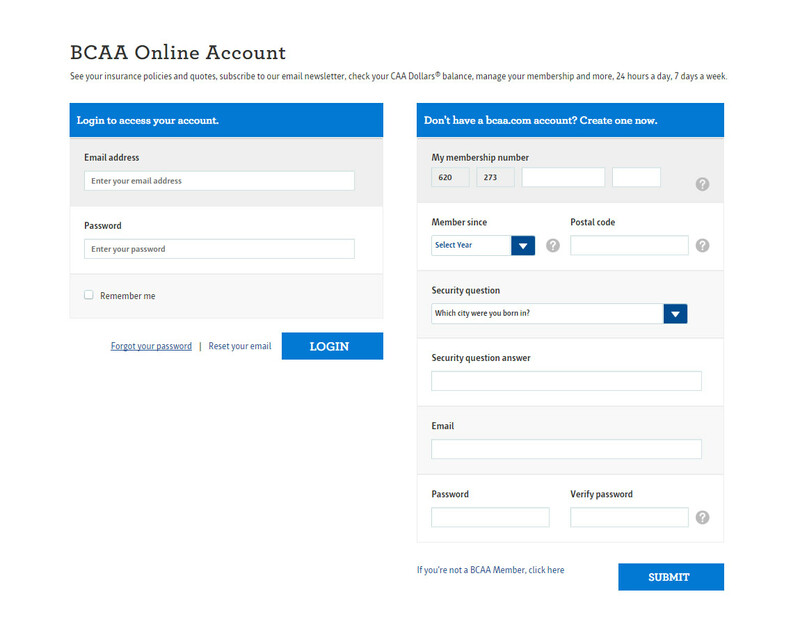 Don't have a bcaa.com account? Create one now. 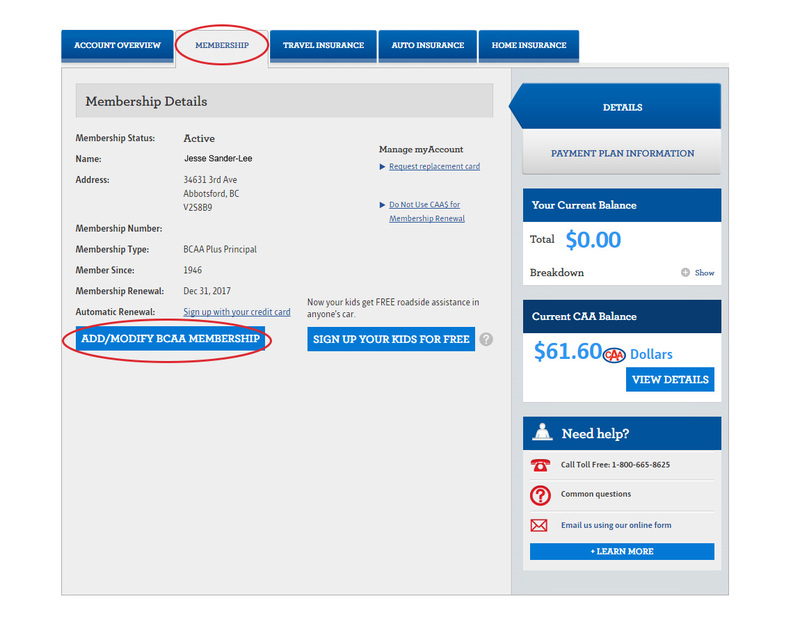 Click on "Membership", then click on "Add/Modify BCAA Membership". 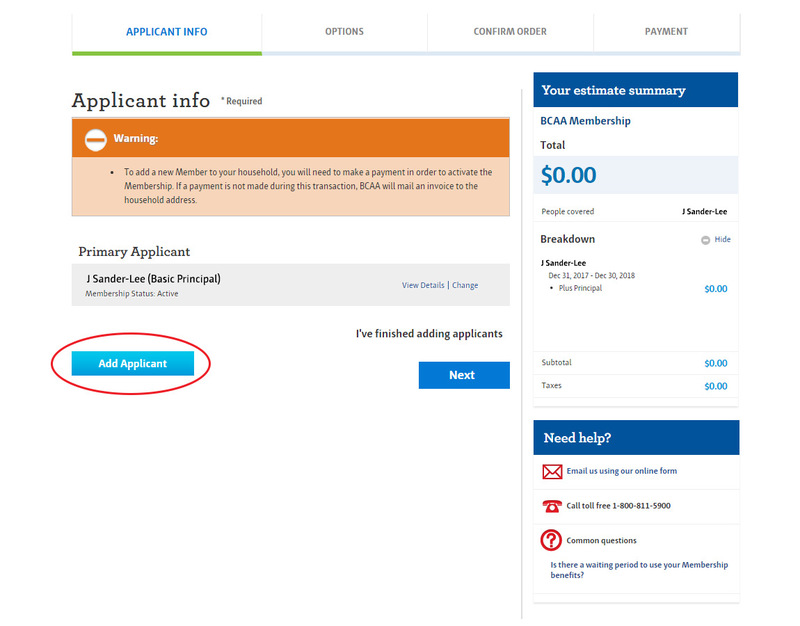 Fill out your family member's information, choose Membership coverage and click on "Submit". Confirm applicant details. Click on “Next". 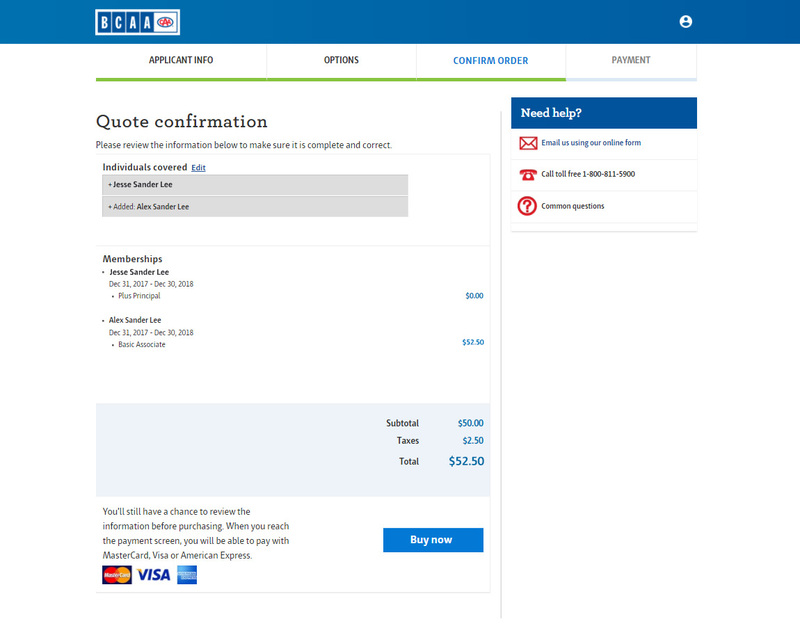 Confirm Auto Renew and click on "Next". Review purchase and click on "Buy Now". *Subject to change without notice. Other restrictions may apply. 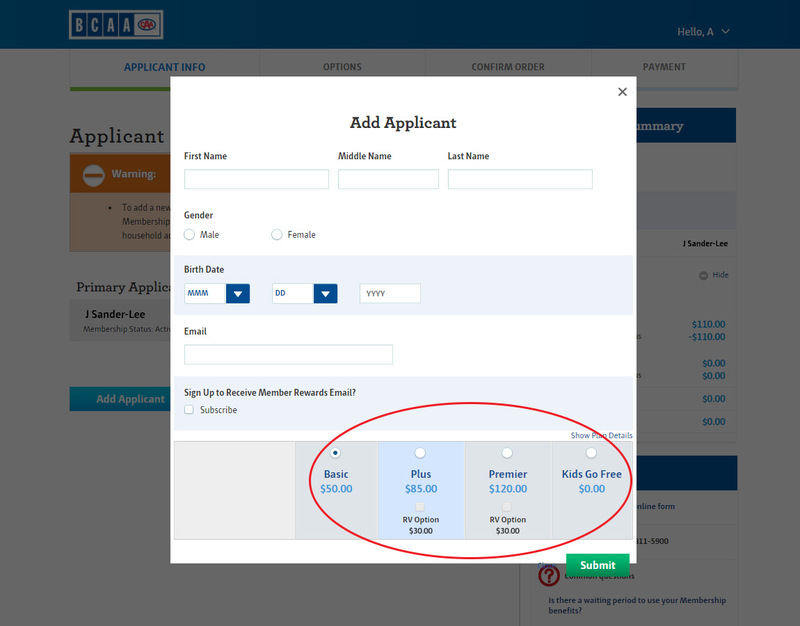 Prices and payments are subject to applicable taxes. Insurance is sold through BCAA Insurance Agency Ltd. and underwritten by various underwriters. Visit bcaa.com/underwriters.